As you’ll recall, after spending four of the worst ever weeks of my life in hospital with the doctors trying to avoid me getting the life threatening condition eclampsia… (someone died of it on Downton Abbey as the nurses kept telling me) I got the life threatening condition eclampsia and I had a three minute eclamptic seizure. 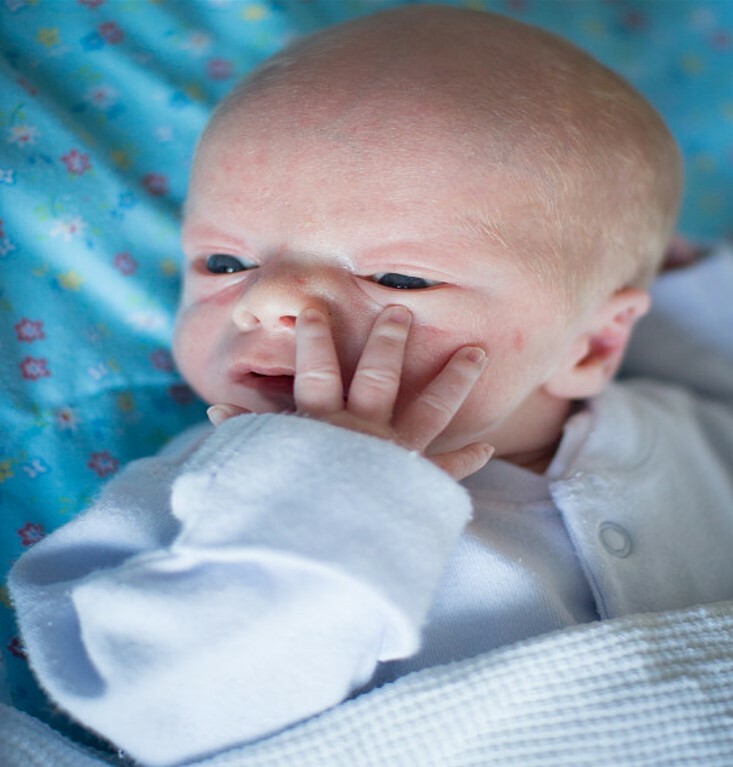 Soon after, baby Arran was born by emergency caesarean section and went straight to the neonatal unit. At the time I thought I was conscious the whole day, but my recollection is a little hazy now and I don’t recall having a seizure. But it was fine, I’m not traumatised in the slightest. I was just glad to be getting it done and over with. It actually felt like a positive day to me. I was then in hospital for a further nine days while they sorted out my blood pressure. I recovered from the caesarean easily within that time. That was no trouble at all, I stopped taking painkillers after a week and I can see how the scar will heal up very neat. Oh, and I’m now 2kg lighter than when I got pregnant. I assume due to the general illness. I’m less toned though, to be fair due to not exercising for many months. I’ve left the hospital on one type of drug (having been on four) and I’m to reduce this over time via my GP. I’m also to have a liver scan to check if there is any permanent damage as eclampsia basically shuts down your organs and my blood results look a bit weird. I feel alright though. We were very well briefed on having a premature baby and we saw a neonatal specialist twice while I was still pregnant. We got shown round the unit and they explained what would be likely to happen at each week of gestation that he might be born. 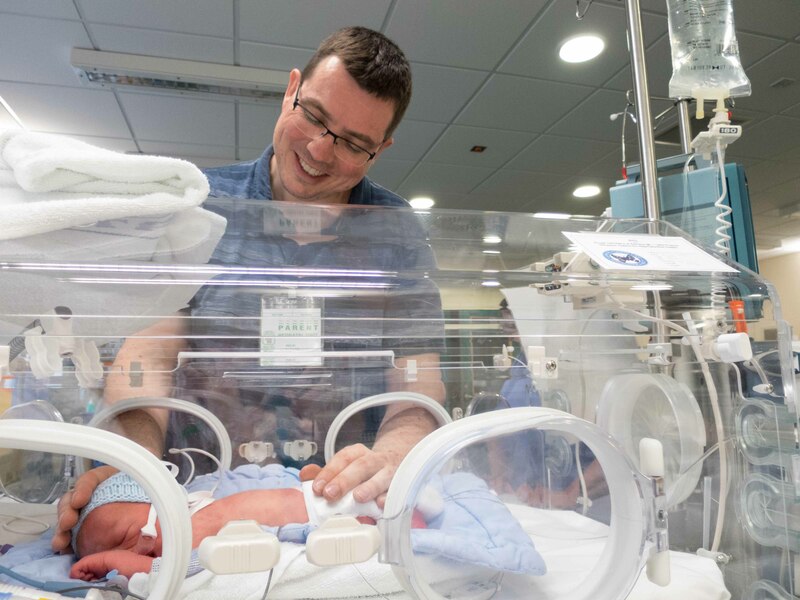 This helped us a lot, and we told ourselves that being in the neonatal unit was just an artificial substitute for a baby being in the womb for a while. So when it happened, honestly it was fine and we were excited about having him rather than terrified of it. I think we were well briefed, and lucky to have the notice of this rather than it being a surprise like an early labour. Also Arran was not ill, just needed to be taught to breathe and eat as is expected of a baby of his gestation. Arran was in intensive care (incubator) for three days then special care for three weeks. They say you can expect you baby to leave special care around his due date but Arran left three weeks before that. He just sailed right through it. I find it amazing how resilient he has been – I’ve been so sick and he’s just been fine. Another thing about special care is the nurses show you what to do and how to care for a baby and it was so helpful to have three weeks of that. You could watch them handling the babies and learn from that, or they would show you how to do stuff, and you could practice in a safe environment. I think that has eased us into caring for him at home, made that much easier for us. We’ve had the baby home for a week now and it has been going OK, no major disasters as yet. Well the baby wees on his clothes quite often but I have learned to deal with that sort of thing. He is sleeping about 3-4 hours between eating, which I am led to believe is quite good. I’m tired though. And each moment I’m scared of what the next one might bring but so far it has all been OK. The health visitor seems quite satisfied with us. And I’ve not cried yet. I’m told that is unusual. People seem quite surprised how physically and mentally well I am now especially as the circumstances have continued to be theoretically challenging. But I feel physically better than I have since autumn, and I’m just glad to move on. So that is the end of our IVF journey. Blogging has been terrific for me, so therapeutic and it has really helped get me through all this and process what has happened. I’m glad to have the honest record of the whole thing, unpleasant reading as some of it is. So I’m going to leave it there and sign out. Thanks for reading, for commenting, for supporting me. If you would like to follow Arran’s journey, you can do so here.